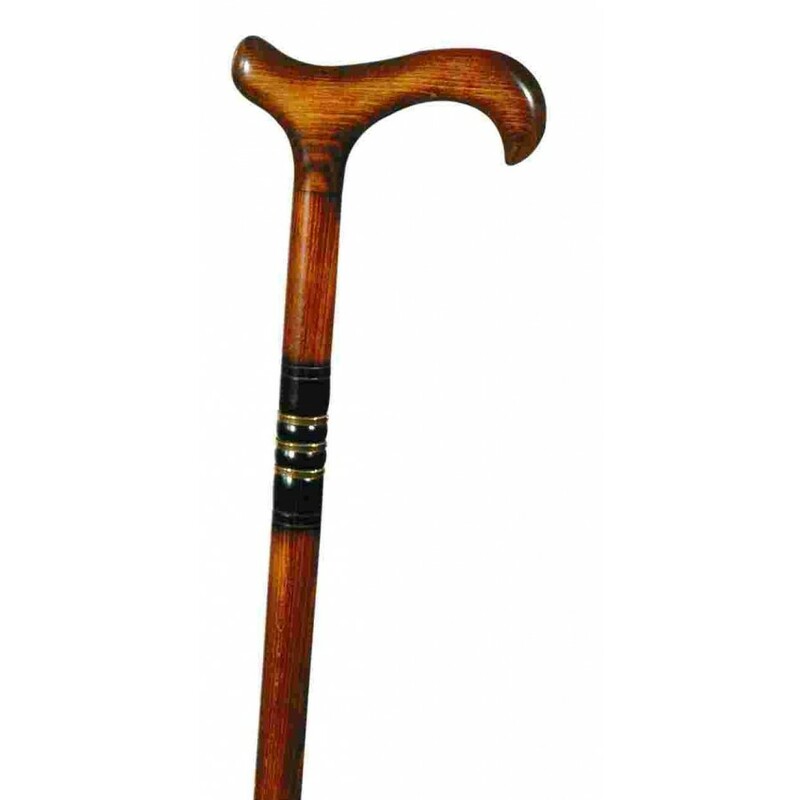 An everyday walking stick with three smart brass rings around the upper part of the hardwood shaft. The shaft has been scorched a very dark brown at the point where the rings are affixed, providing an interesting contrast between the metal and the wood. 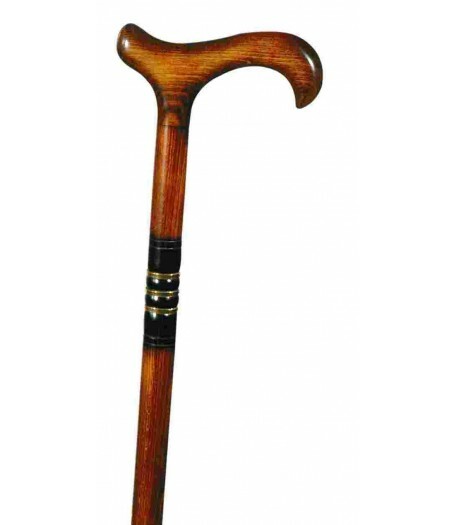 The derby handle offers excellent support to the hand, and may be hooked over the arm when not in use. Height: 87cm. Fitted with a rubber ferrule.